Chiropractic care can be an essential part of a pain management plan. By working closely with your pain specialist or primary care doctor, a chiropractor can help you realign your spine to support a strong, healthy body. One of the most difficult parts of receiving chiropractic care, however, is locating a really great and well-qualified chiropractor near you. This can be daunting. Simply going online to find a list of names doesn’t help you to know if the chiropractor you choose is going to work for you, right? There are some easy steps to take, however, when asking “how to find a chiropractor near me?” And by taking these steps, we promise you can find a chiropractor who can help you relieve your pain and get back to your life. Finding a good, or even great, chiropractor doesn’t happen just by chance. It’s like anything else today–there are online options for finding user-generated reviews and recommendations to help you find the best chiropractor close to you. Add that to your network of family and friends, and peer-reviewed sites like PainDoctor.com, and you have the tools you need to make the best decision for you. Chiropractic care does work, especially for people who suffer from conditions like lower back pain and neck pain. With a little bit of research at the beginning, you can ensure you find a doctor who can help you. Here are six steps to get started. Some chiropractors believe that chiropractic care is the only treatment needed for any health problem. Others are committed to working with your pain management specialist as part of a comprehensive treatment plan. When looking for a chiropractor close by, it is important to decide which type of chiropractor is right for you and your pain condition. As we’ll discuss below, chiropractors will share on their website what they’re most focused on treating or what they have the most research experience with. They may also discuss their philosophies about care so you can find one that matches how you approach treating your pain. In addition, most states require between 20 and 25 hours of annual continuing education. This could include deeper learning in the areas of nutrition, physical therapy, or any other areas that could benefit patients. Depending on how much information a chiropractor posts to their website, they may also list additional certifications or research-areas they’re also qualified in. For example, if you’re suffering from a very specific form of back pain, it may be worth your while to find a chiropractor near you who specializes in that condition and its treatment. If you are lucky enough to have family and friends who regularly visit a chiropractor, ask them for help finding a “chiropractor near me.” A license to practice shows that the doctor is qualified, but a person who has worked with them can tell you about their bedside manner and demeanor. It helps to keep in mind what kind of doctor you generally prefer. Whether you like a warm, caring doctor or a capable but business-like doctor, a recommendation from a family member or friend may be able to help. If you’re part of a pain support group, this can also be a great place to ask for recommendations for advice from people who may have the same health concerns you do. Finally, contact your insurance provider for a list of chiropractors who are covered by your network. Use this to make sure that you find a chiropractor who is within your plan and recommended by your insurance. If you have not started working with a pain management specialist, you can also find a qualified pain doctor and ask them for recommendations for a “chiropractor near me.” You can find a list of our PainDoctor.com-certified pain doctors and chiropractors by clicking the button below. As noted, ratings sites or websites with a certified list of doctors, like PainDoctor.com, can help verify a chiropractor’s license and give you an idea of their philosophy and practice areas. Each site has slightly different information to give you a better picture of your chiropractor before your first visit. Find the best chiropractor for you by looking for ones who share lots of information and knowledge, whether on their website or on social media. Once you find a chiropractor near you, get ready for your first visit. It is important to have all of your medical information ready when you go. This means bringing any imaging work (MRIs and X-rays) plus information on any medications, treatment plans, or physical therapy you may have already completed. Your chiropractor will ask questions about your current condition, plus any potential causes. They will then gather a complete medical history that includes not only your current status but also any previous injuries or underlying medical conditions. If your imaging is out of date or your condition has changed since your last MRI or X-ray was taken, your chiropractor may order additional imaging. Once your history is gathered, the chiropractor may complete a physical exam, or they may begin treatment. This may be a manual spinal manipulation, or the chiropractor may use various chiropractic instruments. After your adjustment is complete, the chiropractor will recommend a schedule of follow-up visits. The number of visits will depend on your current health condition, how much pain you’re in, and what other therapies you’re using to treat your pain. Chiropractic care is always best done in addition to other pain management treatments, such as physical therapy, medication, or pain-reducing injections. Chiropractic care has few, if any side effects. Occasionally there may be a bit of soreness, but in general patients can continue with their regular daily activities after the appointment. Finally, it’s important to know that it’s okay to change chiropractors if the doctor you find just isn’t a good fit. They may be perfectly qualified and capable, but if you aren’t comfortable with them, treatment may be less effective. Some patients love doctors who are straight and to the point, while others prefer someone who provides lots of explanation both before and during a procedure. Likewise, they may not be the best doctor to treat your specific pain condition. As with other doctors, chiropractors understand this and are happy to transfer your records to a different doctor. Finding a chiropractor near you doesn’t have to be stressful. If you found a chiropractor you love, what worked for you? Ready to find a great chiropractor who can help with your pain condition? Click the button below to find our PainDoctor.com-certified chiropractors. I lost my insurance last month because I switched jobs and my new employer does not offer insurance. Can I just get small look at my shoulder joints that I sprained 3 years ago. For cheap please. I don’t make much. It is a 3rd degree joint sprain between my left shoulder and clavicle. It has been really painful lately I’m afraid it could be getting worse. Hi David — We’re so sorry to hear about your pain and your insurance issues. It does depend on what doctor you choose, which ones are in your area, and what pricing options they offer. You can find pain specialists in your area here: https://paindoctor.com/find-your-pain-doctor/. Hi Terresa — You can find doctors in your area at https://paindoctor.com/find-your-pain-doctor/. Hope that helps! Hi Elizabeth — We’re so sorry to hear that you’re unable to find a chiropractor who worked so well for you. You may be able to contact your local chiropractic association directly and provide some more information to find him: http://www.scchiropractic.org/ or http://www.ncchiro.org/. If you’re unable to find him through either of those channels, you can look for a new one here: https://paindoctor.com/find-your-pain-doctor/. Hope that helps! Well written, accurate article. Thank you for sharing. I believe I have a pinched nerve. My legs hurt so bad causeing me to stay up all the time. They go numb at times along with my hands an arms occasionally. What insurances do you take? I need in asap. I can’t live in this pain anymore. Hi Amanda — There are PainDoctor.com certified chiropractors across the U.S. that take a number of different insurances. You’ll have to search on our map to find the nearest one to you: https://paindoctor.com/find-your-pain-doctor/. Hi Jacqueline — We are so sorry to hear about this. You can find a doctor here: https://paindoctor.com/get-relief-now/, or if there’s not one in your area in that directory, figure out how to find the best one in your area by using the suggestions in this list. Further, one of the worst parts about chronic pain is not having anyone around who truly understands what you face on a day-to-day basis. We highly recommend finding a local or online support group so you can talk to other patients who understand what a life with chronic pain is like. 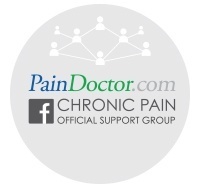 You can find online ones here: https://paindoctor.com/chronic-pain-support-groups. I would like to find a DNFT chiropractor in southern Alabama! Hi Tom — You can find a doctor in your area at: https://paindoctor.com/get-relief-now/ or if there’s not one in your area in our directly, use the tips here to find one: https://paindoctor.com/pain-management-doctors/. Hi Lorraine — Unfortunately we can’t offer specific medical advice on the blog. You can find a doctor in your area to help at: https://paindoctor.com/get-relief-now/ or if there’s not one in your area in our directly, use the tips here to find one: https://paindoctor.com/pain-management-doctors/. Your web site doesn’t list any Chiropractors in a 25 mile radius of Birmingham, AL. I know there are quite a few in the area. Why is this? Hi Nancy — Unfortunately we still have a limited geographical range due to the difficulties of certifying quality standards in other states. Right now we focus on doctors on the west coast and Texas. We encourage you to use the tips here to find a good one in your area though.